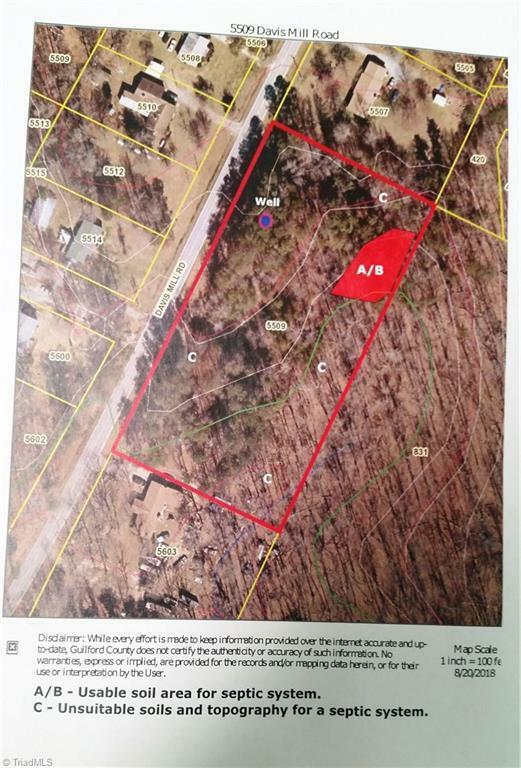 5509 Davis Mill Road, Greensboro, NC.| MLS# 899883 | North Carolina Farm and Vineyard Specialist Patria Properties Inc.
2.9 acre building lot with well in Southeast county. Soil is suitable for a 3 BR house. Close proximity to Pleasant Garden, shopping, and highway. Contact agent for soil evaluation and map on file.